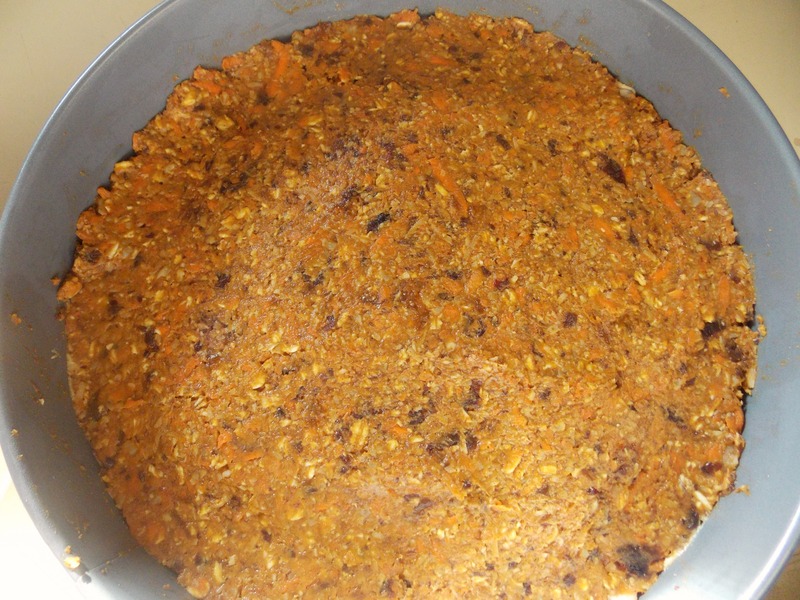 Pumpkin flavor is back and what better way to celebrate than with a pumpkin flavored carrot cake! I already stocked up my shelf with some canned pumpkin puree for smoothies but yesterday I decided to get a little more creative. 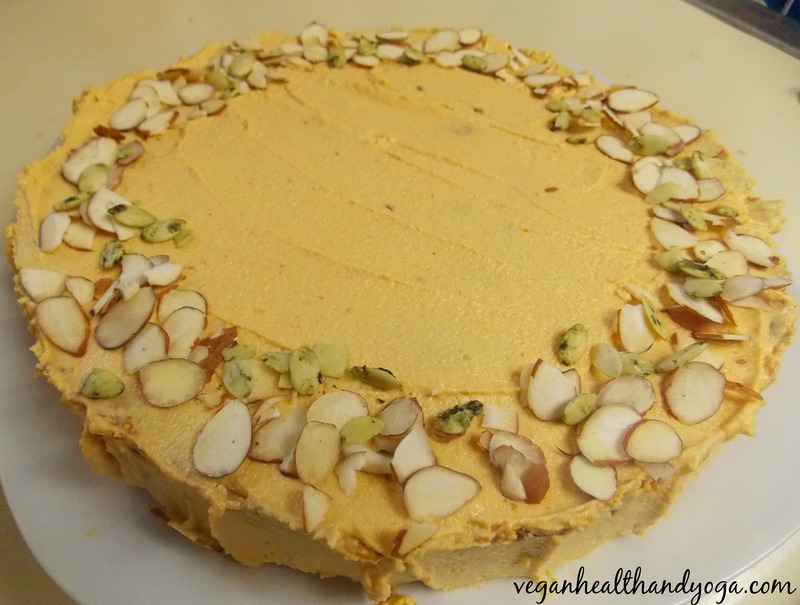 I’ve made raw carrot cake before but for this one, I added cooked pumpkin and created a seasonal flavor for fall. 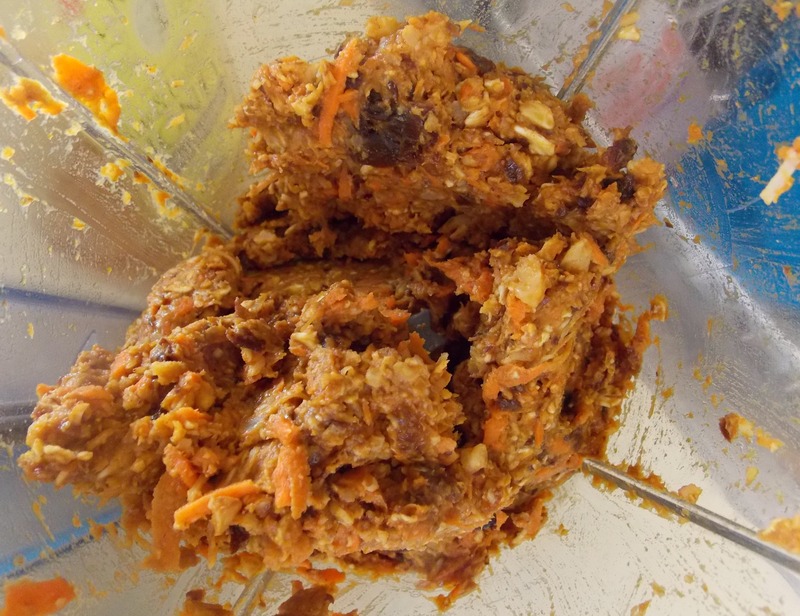 I love carrot cake but what makes this one a lot healthier is most of the ingredients are raw! 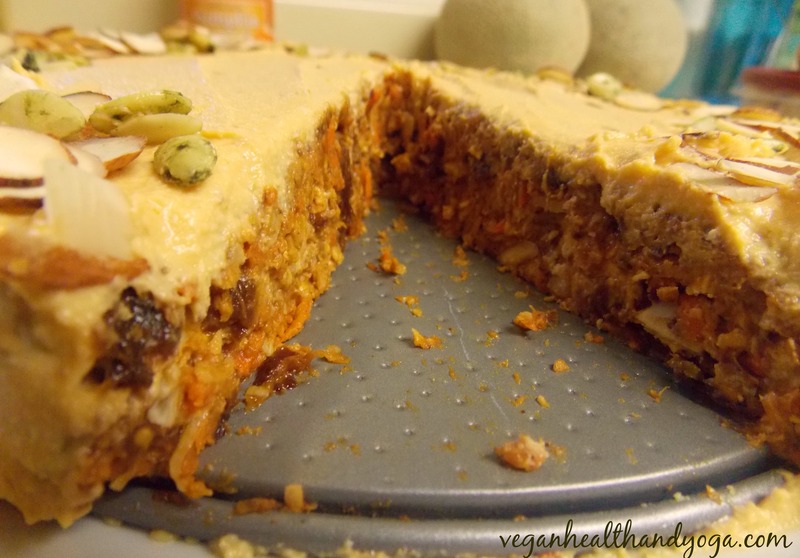 Adding pumpkin and carrots to any dessert can only maximize your intake of beta carotene and who couldn’t use that? 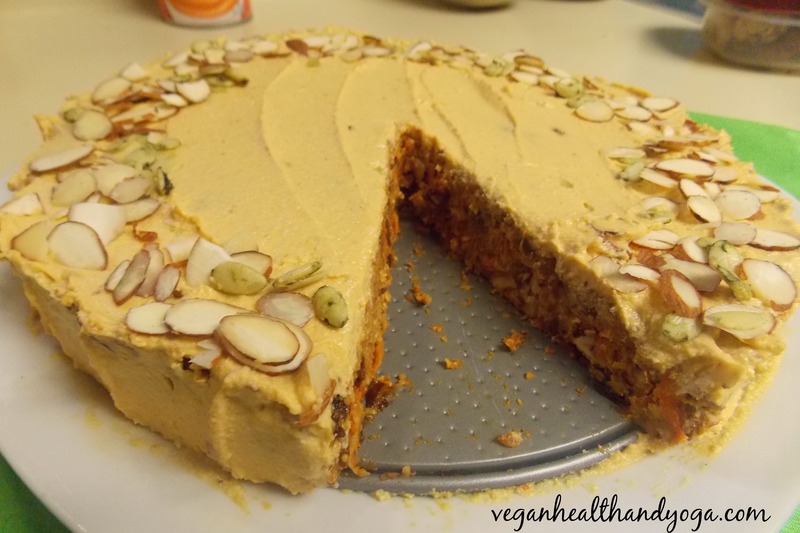 Even the frosting was perfect and complimented the cake with just the right amount of pumpkin flavor! After soaking cashews for about an hour, drain the water. Blend all the ingredients for about 2-3 minutes. Mixture should be very thick and smooth. Scrape out the frosting with a plastic spatula into a bowl, cover and chill until ready to use. The frosting will thicken up by the time your ready to frost the cake. 2. 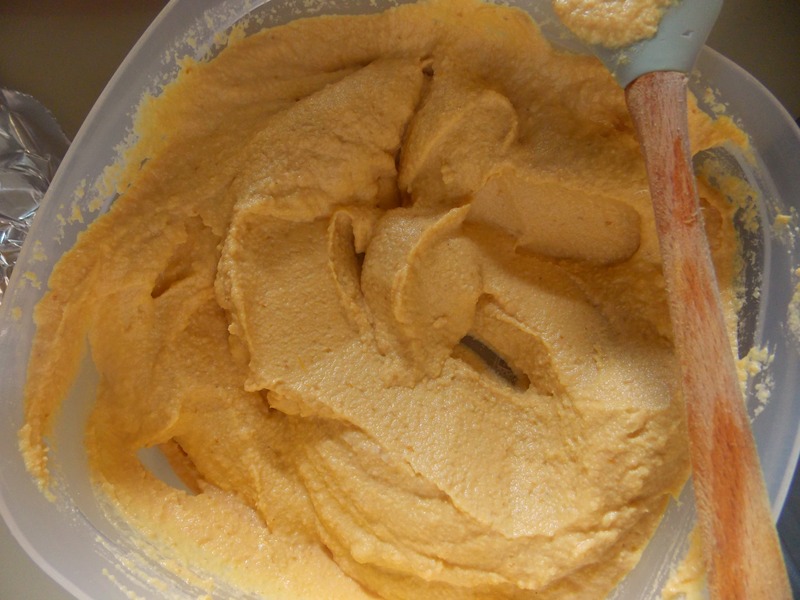 In a high powered blender or mixer, add lemon juice, pineapple, and pumpkin puree first. Then add the remaining ingredients. Pulse blend and stop to push down ingredients as needed until all ingredients are thoroughly mixed . Be careful not to over blend. You want to aim for a MINCED batter, not a smoothie batter. 2. 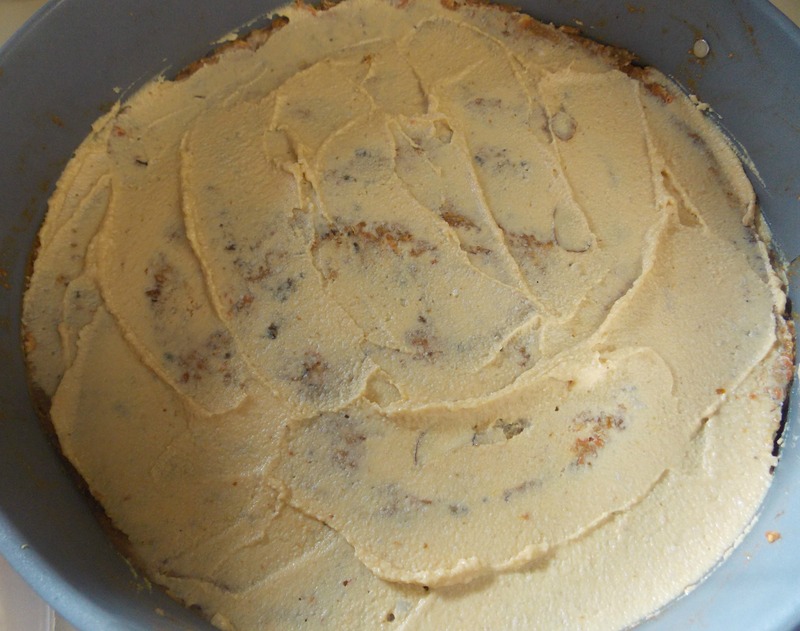 Add half the batter into a small springform cake pan. If you don’t have a springform pan, you can just use a regular cake pan and line it with wax paper. Just make sure you leave enough sticking outside of the pan to be able to pull out the cake. The wax paper helps make removing the cake easier after its frozen. Press the cake batter down firmly into the pan. 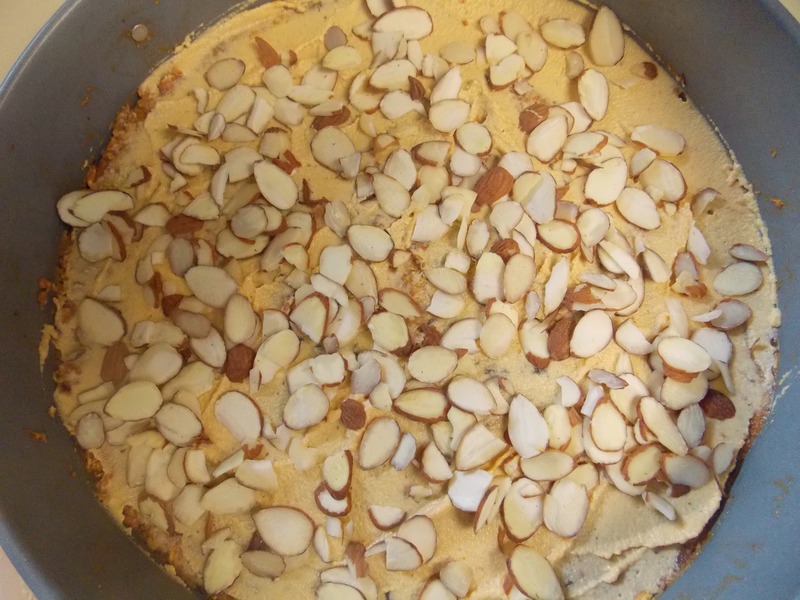 Create your middle layer by adding some frosting and almonds on top. You can add fruit such as crushed pineapple instead if you choose. 3. Now add the remaining cake batter on top of the middle layer and press down firmly smoothing out the top. Cover and freeze for about 2-3 hours.